Tobias Hoffknecht, Ralph, 2015, c-print, 20x24cm. Tobias Hoffknecht‘s working process begins on paper. 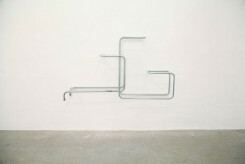 His drawings, the sculptural basis of his works, are subjected to a substractive process. By increasingly reducing the preliminary sketch, he creates a minimalist spatial layout, which then takes on the form of an installation. 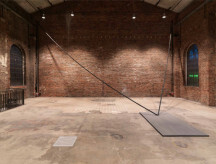 The combination of installation and sculpture emerges out of a conceptual analysis of sculptural activity within the drawing, with the intention of breaking down and breaking through the respective space. 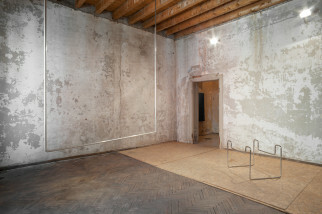 Spatial references within the exhibition situation are witness to this symbiosis. 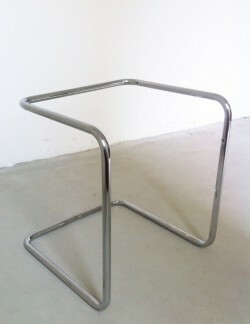 Hoffknecht creates volumes through surfaces. Surfaces, which defer to the space, divide, usurp and break it. As a result, the space is created anew. 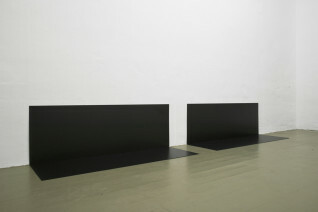 Surfaces form the main components of the works in the exhibition “Rehearsal”, which occupy the space with their clear and highly reduced formal language. Tobias Hoffknecht (Bochum, 1987) lives and works in Koln. In 2013 he finished his studies at the Academy of Art in Düsseldorf in the class of Rosemarie Trockel. 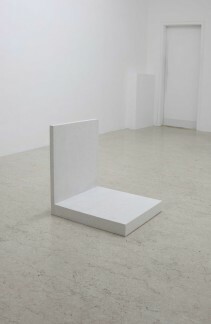 Solo show: (2015) BOBBI, (with Stephanie Stein), A+B galleria, Brescia I. Softline, Kunstverein Bochum, Bochum, D. Rehearsal, Jan Kaps, Colonia, D (2013), Auf den Sitzen, Kunstverein Leverkusen Schloss Morsbroich, Leverkusen, D (2013). 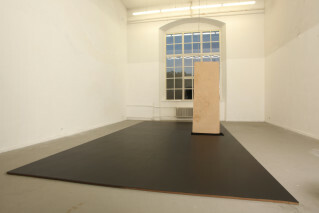 Group Show: L’Avventura – Die mit der Liebe spielen, Palazzo Guaineri delle Cossere, Brescia (2014), Frauen, Die Ausstellung, Autocenter, Berlino, D (2014), Body Light, Venus & Apoll, Düsseldorf, D (2013), 5X5 2013, Espai d’art Contemporani de Castelló, Castellón, ES (2013), The End, Q-Box Gallery, Atene (2013).